Here I wanted to share Paul & Joe mascara primer I got not too long ago which I have been loving the results I get with the Prime+Fiberwig. 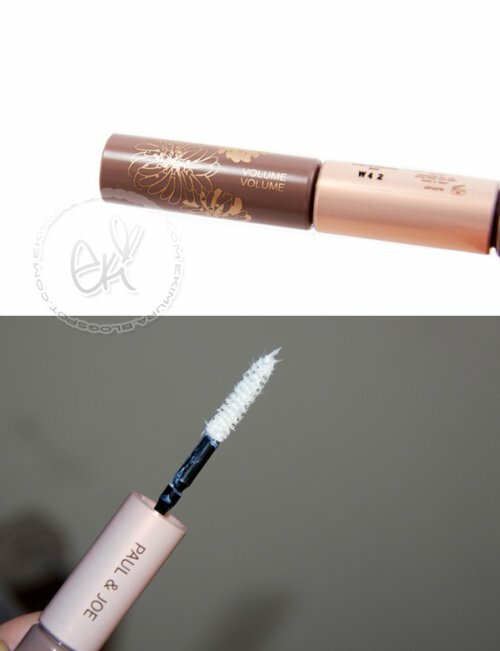 Makes my lash so defined and LONG~ seriously makes it look like I have false lashes on! I use the volume side with the fibers, Im not sure the curl side do yet I dont see any difference when I use the curl side I have to play around with it more I guess to figure out whats its good for. 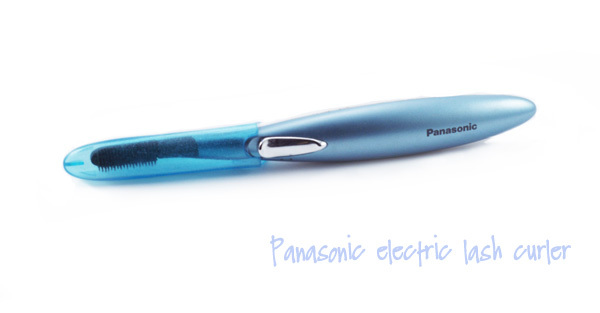 then I curl with panasonic electric lash curler and it keeps my lashes curled without melting the fibers off so the primer works really well with electric curlers. great review on this! seems like that primer works very well! i'm considering of getting that next... after reading the review from you! eki, u look like a doll, a real cute doll! Eki-Eki chan!! Genki desu ka? I miss youu! :( Sorry I haven't been able to stop by and read your blog must...I will need to set aside a catch-up day to read+comment all the posts on your blog that I haven't read yet! Love youu!! Take care onee-chan! wow great review! I've never used primer on my lashes before mascara, just lashings of mascara! I might look to invest in some when I can afford it, it looks like it makes a difference! What a difference!! You have great eyelashes, my dear! I envy your lower lashes!!!! I love paul and joe products so much. I love their girly packaging, and the products work so well. I'm totally using up the PnJ eyeshadow you sent me. Its my favorite!!! You have beautiful lovely lashes even without primer!!! those contacts, in my opinion... are scary lol. Thanks for the review! I bought Fiberwig a couple months ago and I LOVE it! Eki dear, you look amazing as always :) Thanks for the primer review, I def need to get my hands on some because my lashes are non-existent! Thankies for the review and I can't wait to receive the necklace! And the mascara really makes all the difference- it does appear to give a false lash appearance. so pretty! 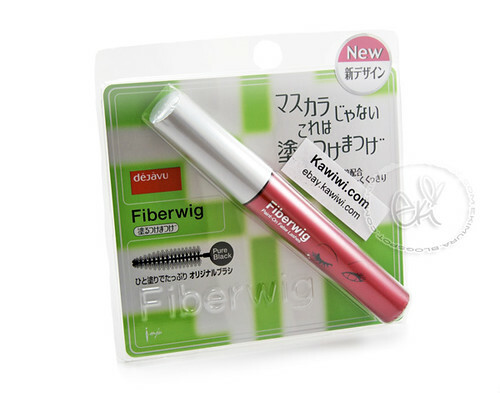 i really want to try the fiberwig mascara! Beautiful! My Fiberwig got too old last year and I haven't gotten a new one but now I want another! That primer looks likes it's awesome. Wow... the volume is amazing!! Gossh your eyes look soo clear in the photo! You use a DSLR for the pics on your blog right? I love your eyelashes! The primer works well. WOW! 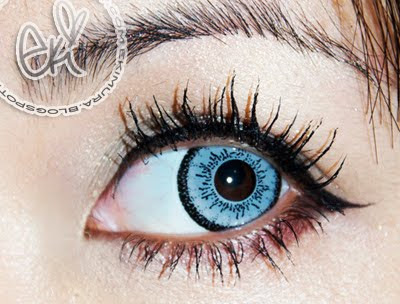 Those contacts are amazing! They glow such a beautiful color. Your bottom lashes are so full! That is AMAZING! I'll have to get some! I love P&J Mascaras too. The result is very nice indeed! I'm really beautiful! And I love your eyes! Awwww.. you look so sweet and nice!! The results of that primer look awesome on you! I've been using lancome and it doesn't produce nearly as nice results. are there any website where i can get paul &joe mascara primer?? thank you a million times for your help.